As I have mentioned many times, I will be the first one to admit that it isn't always easy to feed my children healthy foods, especially when it comes to Back to School time and having to pack a lunch every day for my son. I have to consciously make an effort to pack nutritious and healthy foods that will fuel my children's bodies and keep them healthy! 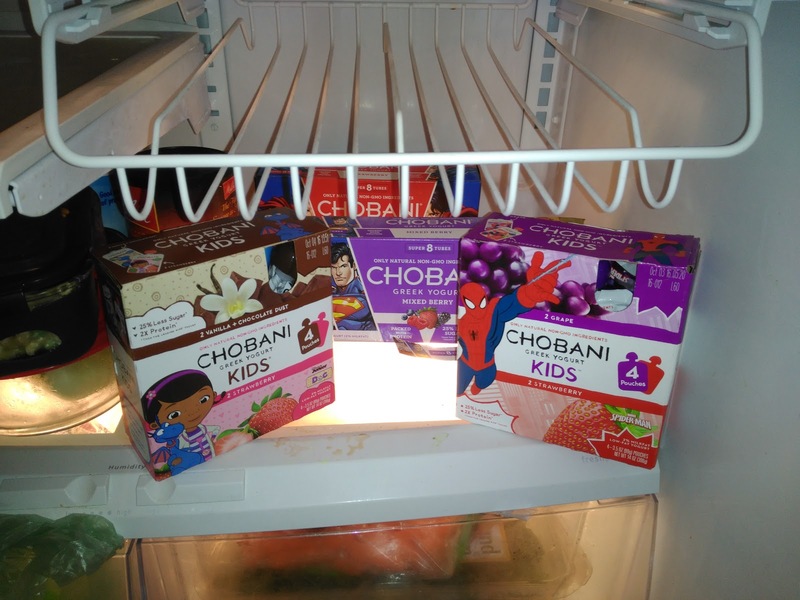 This school year, Chobani is helping me out with snack time with their Kids and Tots Pouches and Tubes – a perfect snack to eat on the go or throw in the lunch box for my son for snack time! My kids absolutely LOVE the fun packaging and they literally beg to have these Chobani Kids & Tots Greek Yogurt pouches and tubes every day! And I don't argue about giving it to them because Chobani Kids® has 25% less sugar than the leading kids’ yogurt and is a good source of protein, with 2X more protein compared to the leading kids’ yogurt! Plus, I throw them in the freezer to make a tasty frozen yogurt treat! 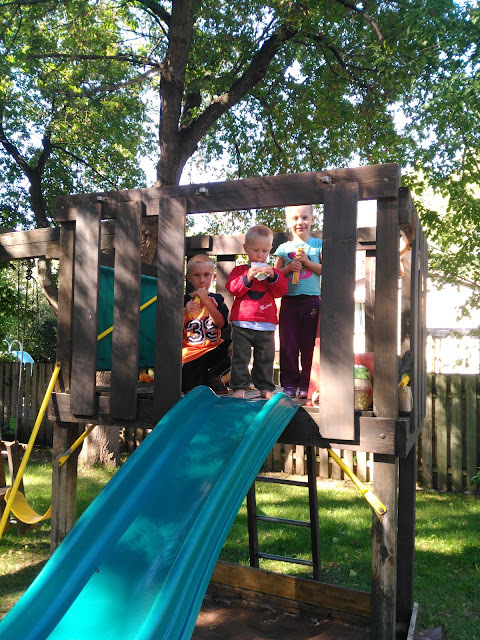 My children love to eat them here, there, everywhere - even in our new playground fort on a beautiful almost Fall day! I love that they don't need a spoon, bowl or even a napkin! 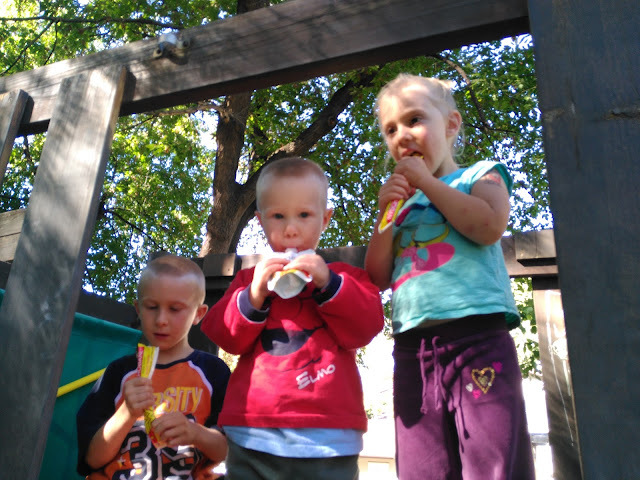 They eat it neatly and it is portable for wherever they want to eat their snack! My youngest son really loves the Chobani Tots, especially because of the cute Pooh and other character packaging! I love them because they contain 8 grams of protein and 12mg of Omega-3 DHA and are made with real fruits and vegetables! I only want what it is best for his little body! These Chobani Kids & Tots Yogurts make my kids smile and they make me smile giving it to them because they are only natural, non-GMO ingredients and have ZERO added or artificial colors or flavors. Never should those be going into my child's body! 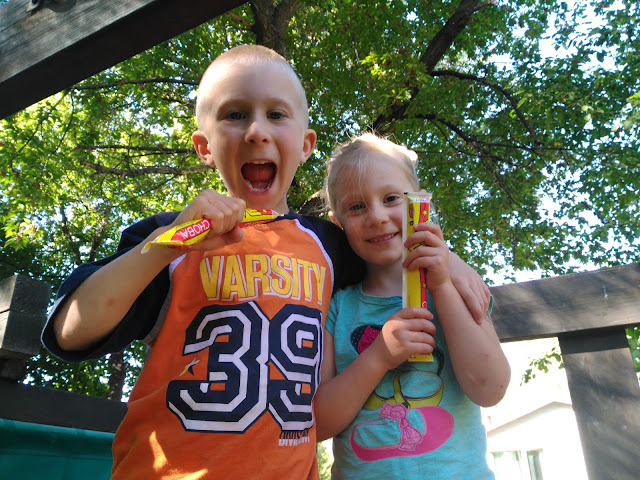 So if you want happy, healthy little children in your house this school year, try giving your child the Chobani Kids + Tots products! They are so easy to take anywhere and everywhere and they are healthy and full of nutrients to keep those little bodies and brains going this school year! 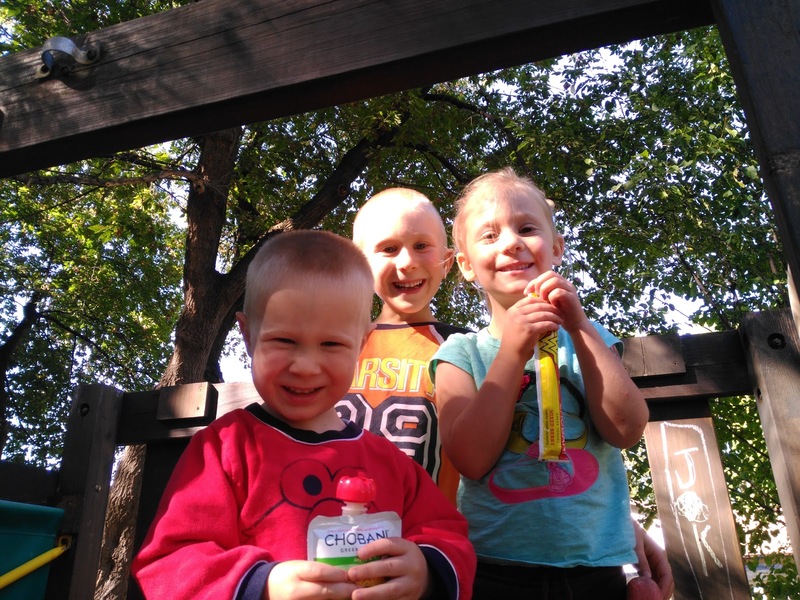 Chobani is generously offering (1) VIP package of Kids + Tots products to a lucky winner!